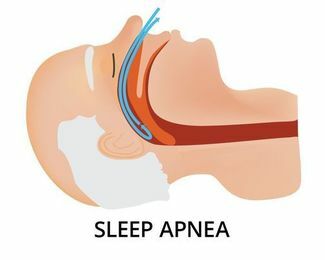 Sleep apnea is a condition that causes breathing to become repeatedly interrupted during the night. In order to help protect the health of his patients, Dr. Jon Marc Van Slate offers professional diagnosis and treatment for obstructive sleep apnea (OSA). After meeting with the doctor to discuss your symptoms and concerns, we will provide you with an Apnea Link or MediByte® Jr. screening device to determine if you suffer from the condition. If we make a positive diagnosis, we can then provide a custom oral appliance to help keep airways open while you sleep. Undergoing regular dental cleanings every six months is a key component of maintaining optimal oral health. At our practice, we use innovative dental technology to perform dental cleanings, which can include a bacteria-reducing laser and the AIR-FLOW® PERIO system. During your cleaning, we will also look for signs of oral cancer, TMJ disorder, and other concerns. Although we always do our best to restore a tooth, there are times when extraction is the best way to preserve a patient's oral health. Dr. Van Slate can remove teeth that are badly damaged or infected, as well as non-impacted wisdom teeth. To ensure the comfort of his patients during extractions, Dr. Van Slate utilizes the innovative Anutra system, which delivers local anesthesia quickly and precisely. We are committed to providing patients with the highest standards of care, which is why our practice is equipped with state-of-the-art dental technology. The many innovative tools we use include the iTero® intraoral scanner, a cone beam scanner, digital x-rays, diode lasers, and the DIAGNOdent® laser cavity detection device. 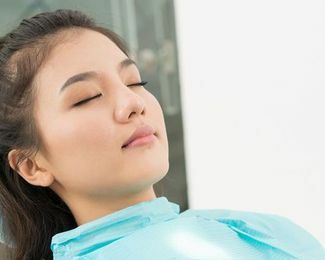 If you suffer from dental anxiety, we offer several sedation options to help you remain at ease while receiving the quality care you deserve. We can provide nitrous oxide, or laughing gas, to quickly help you relax before a minor procedure. In other cases, we can provide oral-conscious sedation. This type of sedation will put you into a state of deep relaxation while allowing you to remain awake. Dr. Van Slate will discuss your treatment plan as well as your individual concerns to determine the form of sedation that is right for you. 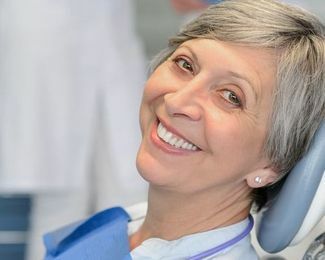 As part of our commitment to using the latest dental technology, we utilize advanced lasers to perform several procedures, including gum contouring, periodontal treatments, treatments for ulcers, frenectomies, and soft-tissue biopsies. When compared to using a blade, lasers are more accurate and allow for minimized discomfort during and after a procedure. Additionally, a laser will seal off tissue as it cuts, eliminating the need for stitches. Temporomandibular joints (or TMJs) connect the jawbone to the skull, so they can come under immense strain on a daily basis. When these joints become inflamed, it results in a condition known as TMJ disorder. 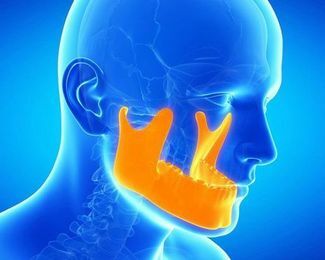 Patients with TMJ disorder can experience a range of negative symptoms, including chronic headaches or difficulty opening the jaw. Fortunately, Dr. Van Slate can often effectively treat TMJ disorder with a custom-made oral appliance. 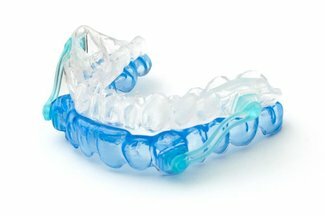 Worn while you sleep, the device will help to move your jaw into proper alignment and reduce pressure on your TMJs. 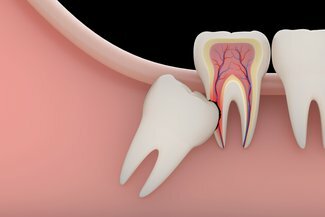 Wisdom teeth can be problematic as they develop and erupt. If left untreated, wisdom teeth can become impacted and may cause further complications such as decay, crowding, and misalignment. Fortunately, Dr. Van Slate can remove wisdom teeth during an extraction procedure. Our office uses advanced technology and treatment methods to provide gentle, conservative wisdom tooth extraction with minimal discomfort. Non-surgical TMJ Disorder treatment focuses on the least invasive methods available to relieve painful symptoms. 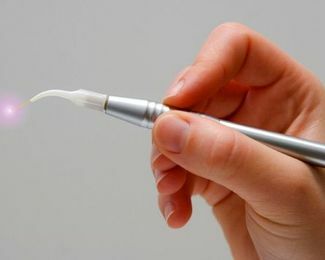 Treatment will use non-invasive oral appliances to provide gentle, lasting changes that treat the underlying condition. Non-surgical options are often preferred because they do not require a recovery period, and can treat each oral issue gently, and in stages. Dr. Van Slate has extensive experience providing relief from this very common disorder. 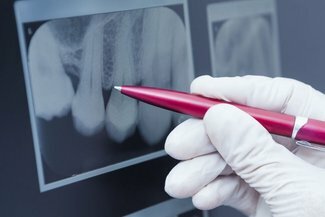 Preventative dentistry focuses on treating oral complications before they have a chance to develop. Often, patients can avoid a large percentage of oral diseases simply by practicing good oral hygiene and maintaining regular cleanings. By scheduling consistent appointments and exams with Dr. Van Slate, you can dramatically reduce your risk of developing complications such as gingivitis, cavities, chronic bad breath, and several other conditions. A healthy smile begins with good preventative dentistry.